as within pharmaceutical drug discovery and development. The editor and authors have experience of the most recent analytical instruments and techniques, allowing them to provide here first-hand practical experience for newcomers to the field. 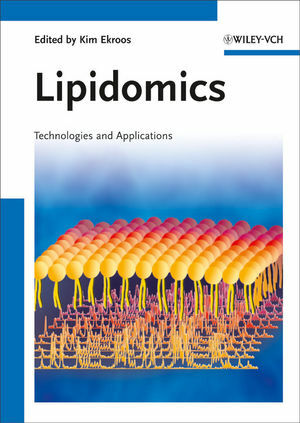 The first half of the book covers current methodologies, ranging from global to targeted lipidomics and shotgun approaches, while the second part discusses the role of lipidomics in biomedical and pharmaceutical research, covering such diverse fields as inflammation, metabolic syndrome, cardiovascular and neurological disease. Both small and large-scale, high-throughput approaches are discussed, resulting in an invaluable source for academic and industrial research and development. Kim Ekroos currently heads the bioanalytics division at Zora Biosciences in Espoo (Finland). He holds a Ph.D. from the Technical University of Dresden (Germany) and has conducted research in the group of Professor Kai Simons and Dr. Andrej Shevchenko at the Max-Planck Institute of Molecular Cell Biology and Genetics in Dresden. Dr. Ekroos has also worked at the European Molecular Biology Laboratory in Heidelberg (Germany). He has made major contributions to the advancement of basic research on lipids and their study with advanced mass spectroscopy methods and software tools. In addition, he has pharmaceutical industry experience from Astra Zeneca where he spent three years successfully developing and utilizing high-throughput molecular lipidomics methods. Today he is focusing on applied molecular lipidomics for unscrambling the mechanistic details by which alterations in tissue-specific lipid metabolism are directly linked to the etiology of lipid-mediated disorders for the benefit of basic science, drug target and lipid biomarker discovery, and development of clinical diagnostics.